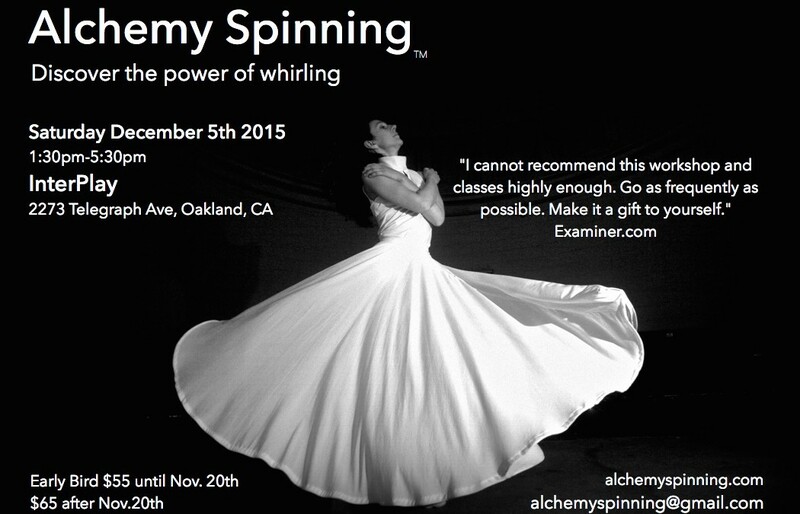 December 5th, 2015 at InterPlay, Oakland, CA: Discover the power of whirling, Alchemy Spinning Workshop with Raquel Boluda. Cost: $55 Early Bird until November 20th. $65 after November 20th. Please add me to your email list for upcoming spinning workshops and events. I live in Sebastopol so would have most interest in the North Bay, however willing to travel to the East Bay. I am in another workshop the weekend of Dec 5 so cannot attend that one.